However, King writes, "the fragment does provide direct evidence that claims about Jesus' marital status first arose over a century after the death of Jesus in the context of intra-Christian controversies over sexuality, marriage, and discipleship." In the years after Jesus' death, Christians debated what was the correct way to follow Jesus' example and lifestyle. King says the parchment might simply mean that some Christians believed after Jesus' death that he was married during his life. 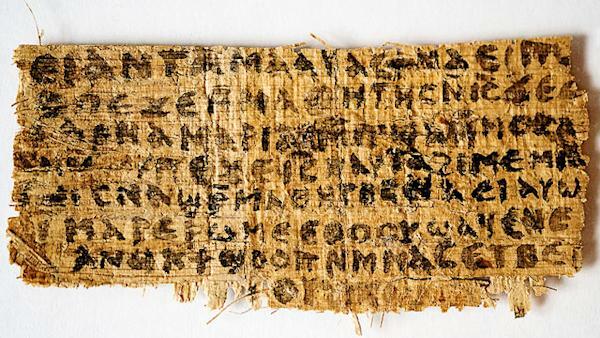 While working to determine whether the papyrus was a forgery, King said she was particularly interested in also researching the first time anybody stated that Jesus did not have a wife. "I was surprised to find that it is indeed right during the same period when we're dating this fragment," King said. That means it was long after Jesus' death that the question was first raised about whether or not Jesus was married - and this small fragment appears to state that he was. King presented her research at the Tenth International Congress of Coptic Studies in Rome.